DIAL: Black with triangular radium hour markers. Broad Arrow metallic hour/minutes hands and straight seconds hand. CONDITION REPORT: Excellent. The watch dial and hands are in great original condition. The bezel insert is intact with its original luminous pearl. NOTES: According to the Omega Museum Archives Extract this watch as manufactured in 1959 and delivered to Sweden. 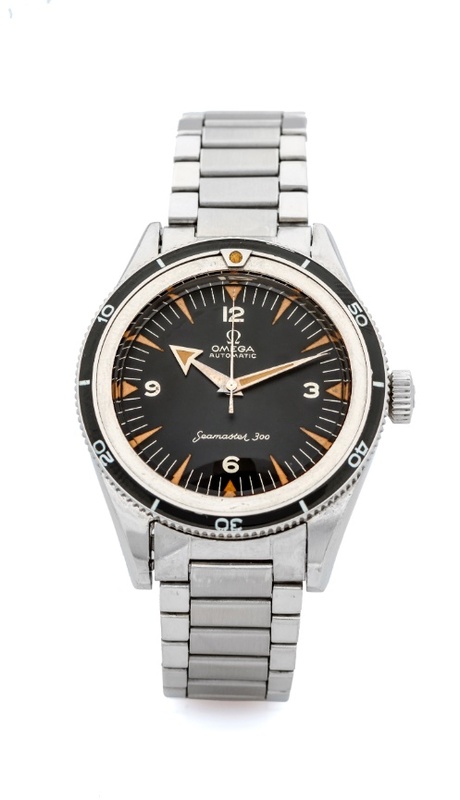 The Seamaster 300 was launched by Omega in 1957 along with the Speedmaster and Railmaster. Known as the "Holy Trinity" or "Trilogy" these first references are extremely rare and highly collectible.